EXCLUSIVE AT NET-A-PORTER.COM. 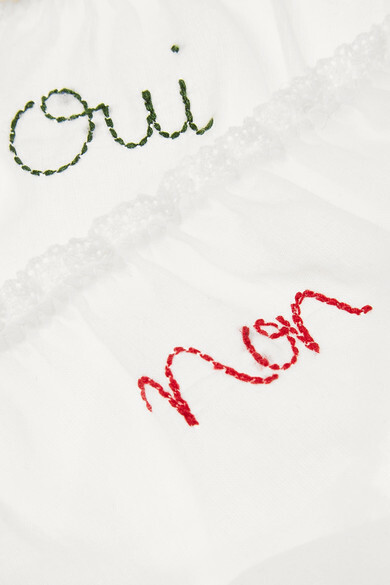 Our favorite thing about Henriette H's lingerie is the embroidery that designer Sarah Stagliano incorporates into each creation - this duo of briefs feature the French words 'Oui' or 'Non' on the front. Created exclusively for us, they're made from breathable cotton trimmed with pretty ruffles and cut for a flattering low-rise. Shown here with: Henriette H Shirt, Natasha Schweitzer Necklace.